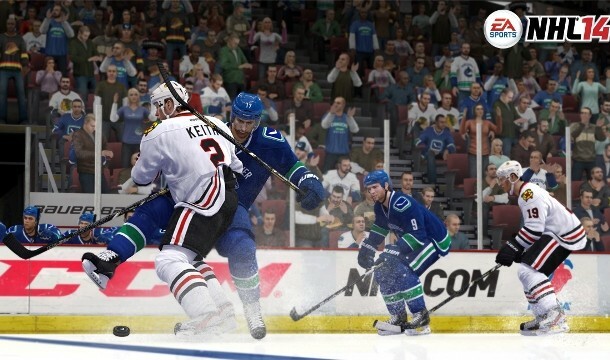 EA Sports has unveiled the release date for their upcoming hockey video game, NHL 14. The game will be available starting on September 10th, 2013 in North America while gamers in Europe will have to wait 3 days until September 13th. Confirmed consoles for NHL 14 include the XBOX 360 and the PlayStation 3. We don’t yet have any information regarding NHL 14 and next generation consoles like the PS4 or XBOX 720. There are a few notable additions to this year’s game including Collision Physics, NHL Online Seasons, and the new Career mode titled “Live The Life.” The full features list as well as the initial NHL 14 gameplay trailer can be found here. EA Sports summed up their vision for NHL 14 with these few words, “Big hits, real fights and unbelievable speed and skill.” If they can stay true to those concepts, we will be in for one hell of a game.